Backing up your iPhone or iOS device can be a pain. Especially if you need to access only certain photos, messages or files. An iTunes backup does not let you access these files, so many people need a third-party tool to help them out. 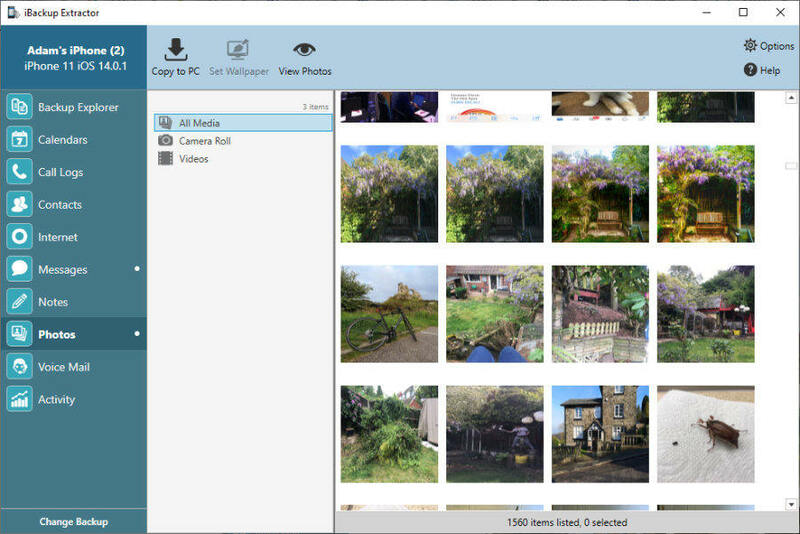 Both iBackup Extractor and TouchCopy are great for managing your iPhone content on your computer - but let's have a look at the key differences in these tools so you can decide which one you need. Do I need iBackup Extractor or TouchCopy? The question you need to ask yourself is: Is the data I need to access on my device, or stored in a backup on my computer? If the data you need to access is on your device, you'll need TouchCopy. If you no longer have the device, or the data you need is stored in an older backup on your computer, you'll need iBackup Extractor. iBackup Extractor finds backups of your iPhone on your computer. The tool allows you to explore these backups and, as the name suggests, allows you to extract data (such as photos, messages and files) from them. This tool is great because it allows you to access data which you may not still have easy access to. For example, if you no longer have an iPhone with an important conversation on it, or if you accidentally deleted some precious photos. If a backup was made of this device when it contained this information, iBackup Extractor can find and extract it for you. The drawback of iBackup Extractor is that it only accesses data from the particular backup that you are reading from. Since iTunes backups do not contain your devices Music, iBackup Extractor cannot extract it. If you need to transfer music from iPod to computer, you'll need TouchCopy. TouchCopy, on the other hand, reads data from the connected device, rather than finding previous backups on your computer. We recommend using TouchCopy if you plan on making regular transfers from your iPhone to your computer. TouchCopy can copy music from your iPhone, iPad or iPod to your computer or directly into iTunes.